Loctite 2400 is a medium threadlocker formulated to secure and seal bolts, nuts and studs to prevent loosening due to vibration. It works on all metals and passive substrates. Slight contamination by industrial oils, corrosion prevention oils and cutting fluids is tolerated. Loctite 2400 carries no hazard symbols, risk or safety phrases and does not contain any declarable carcinogens, mutagens or reproductive toxins. 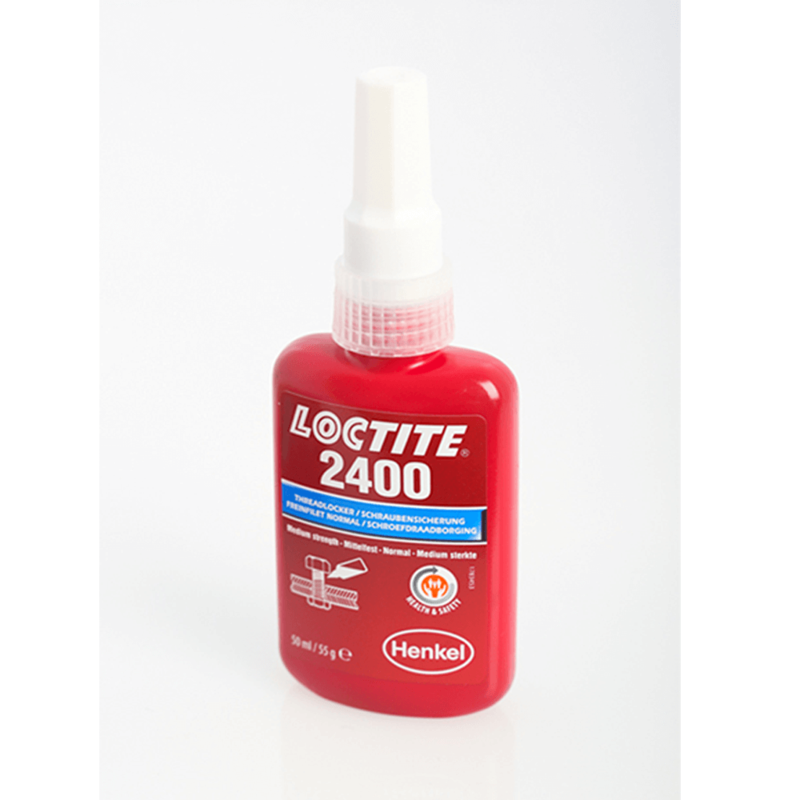 Loctite 2400 is designed for the locking and sealing of threaded fasteners which require normal disassembly with standard hand tools. The product cures when confined in the absence of air between close fitting metal surfaces and prevents loosening and leakage from shock and vibration. Particularly suitable for applications on less active substrates such as stainless steel and plated surfaces, where disassembly with hand tools is required for servicing. The thixotropic nature of Loctite 2400 reduces the migration of liquid product after application to the substrate.